Mike Warner looks forward to Fishstock, an annual celebration of all that makes brilliant Brixham so special. I first visited Brixham with my parents in the late 1970s. I remember a bleak and windswept Easter, fruitless fishing expeditions to the breakwater and a slate grey sea. But that’s a world apart from the place I rediscovered last year, when I returned not once, but twice in short order. Brixham first put the hook in me (and set it deep) in June with its Trawler Race, then gaffed me flapping over the gunwales with my second enlightening trip, in September, to the hugely popular Fishstock seafood and music festival. 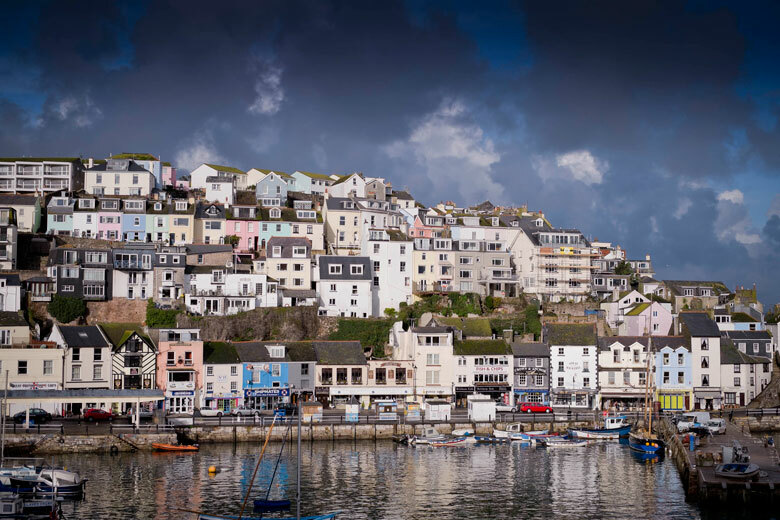 Brixham today is a gem of a fishing community and a buzzing seaside town to boot. And two market tours with Barry Youngs – MD of Brixham Trawler Agents, the firm that runs the auction around which the market revolves – really brought home to me how this port is leading the way in terms of innovation, investment and opportunity. 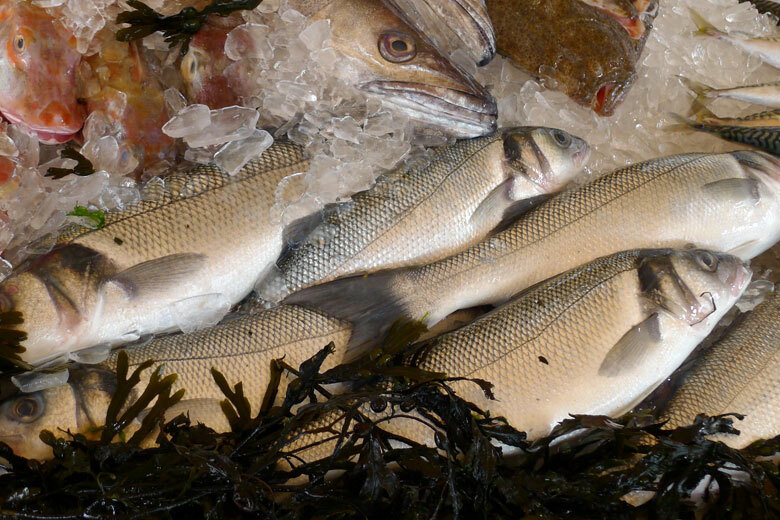 Brixham market sells some 7,000 tonnes of fish a year, turning over around £28m, making it the biggest in England and the second biggest in the UK after mighty Peterhead in Scotland. More than 40 different species of fish and shellfish are landed here by the local fleet of 20-plus beam trawlers and scallopers, and some 30 day boats: these range from potters and hand-liners to smaller trawlers and fast rod-and-line boats, which sprint in and out of Torbay with catches of magnificent bass. In the summer months, the market is dominated by mixed white fish, shellfish and scallops, but as the days shorten, the fishermen change their gear and go after “black gold” (cuttlefish to you and I), which provides a welcome extra income (without quota) for skippers. Brixham trawlermen have always been an industrious, innovative bunch, never more so than now. As fisheries legislation has got ever tighter, they have helped pioneer revolutionary net and gear designs that have transformed catch targeting and reduced discards to a fraction of former levels, far below the percentage required. Voluntary on-board CCTV cameras and data capture are helping scientists compile real-time, on-the-ground stock assessment information – which shows that many species and class sizes are recovering and are even abundant. 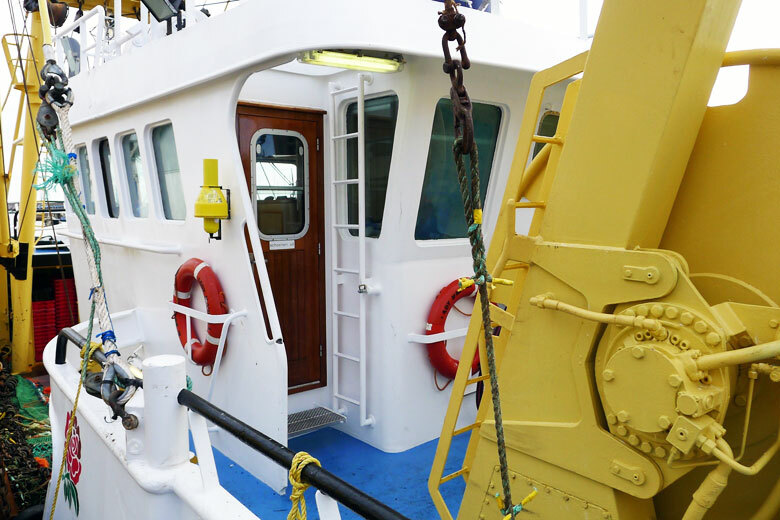 The Responsible Fishing Scheme (RFS), initiated by Seafish, has provided skippers and processors with another level of accreditation, assuring buyers from all over the country of Brixham quality. Barry Young and his predecessor, former trawler skipper Rick “Smudger” Smith, talk passionately about how the market and the fishing community are at the very heart of the town today. Even so, it took a lot of time and effort to secure the £20m funding needed to update the market, requiring years of local campaigning, diplomacy and innumerable late-night meetings. That’s plain as a pikestaff to anyone visiting for the Trawler Race or Fishstock. Indeed, the whole town comes alive and there’s a strong sense of pride underpinning the festival atmosphere. Fishstock is a real showcase for community and the ethos that underpins the fishing industry down here: crucially, all funds raised go to the Fishermen’s Mission. 2016 will be Fishstock’s 9th year, attracting more than 5,000 visitors to the quayside venue: the market floor and auction rooms are transformed into a nautically themed pavilion, full of fishermen, industry reps and artisan producers, all with links to the sea and its harvest. Jim Portus, CEO of the South West Fish Producers Organisation and instigator and manager of Fishstock, is something of a legend in these parts. Overseeing the one-day event is a massive task but one he obviously relishes. “Fishstock is a celebration of our seafood and heritage,” he says. “It’s a fun-packed day which brings food, drink, music and art together with an underlying educational message for those who love and consume fish and shellfish. We need to demonstrate just how far fishing practice has come and how through the passion and innovation of our fishermen we have reached a point where the challenges we face become less onerous. Walking around the event itself, it’s hard not to be caught up in Jim’s enthusiasm. 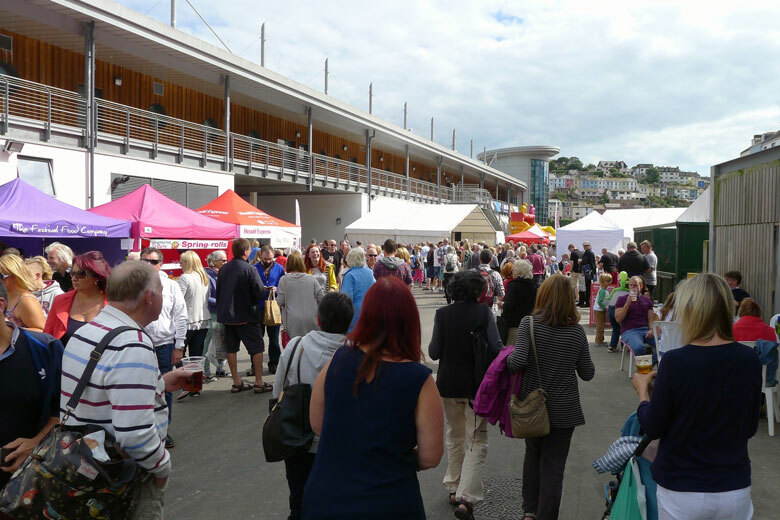 There are stalls and stage bedecked with bunting; cookery demonstrations by local chefs; sensational seafood everywhere; and local craftspeople and foodies mingling with skippers, deckhands, market staff, processors and merchants in a hubbub of cheerfulness that escalates throughout the day. Last year, I was a proud to be not just a visitor but an active participant, working smack bang in the heart of things on the Brixham Fish Market fish stall. 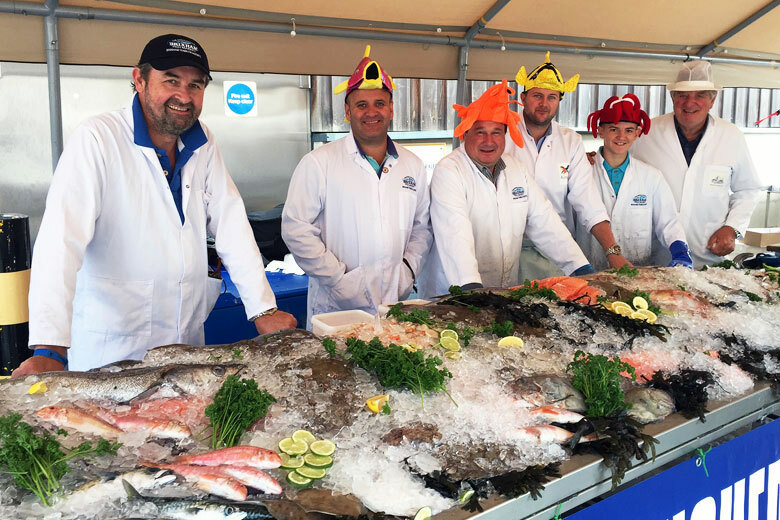 Slightly overawed, I worked alongside Barry, Smudger, Mat, Morph, Darren and Ben, kitted out in the necessary fishmonger’s garb, amidst the most fantastic display of 40 (!) 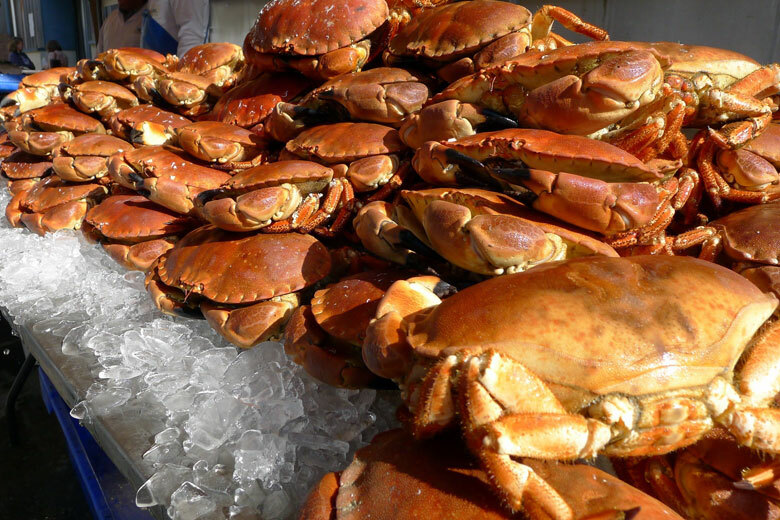 fish and shellfish species, which only hours earlier were craned on to the quay from the local boats. 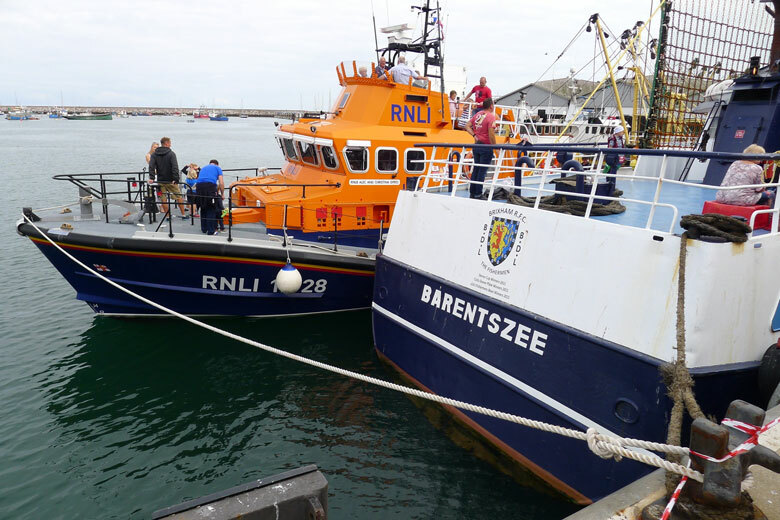 As bands played to the left and right of us and aromas of cooking seafood filled the air from the numerous stalls, visitors queued to clamber aboard one of those boats – the Barentszee, a typical Brixham beamer – to sample a flavour of life aboard. Much like Trawler Race day, the atmosphere at Fishstock gets steadily headier as the day wears on. 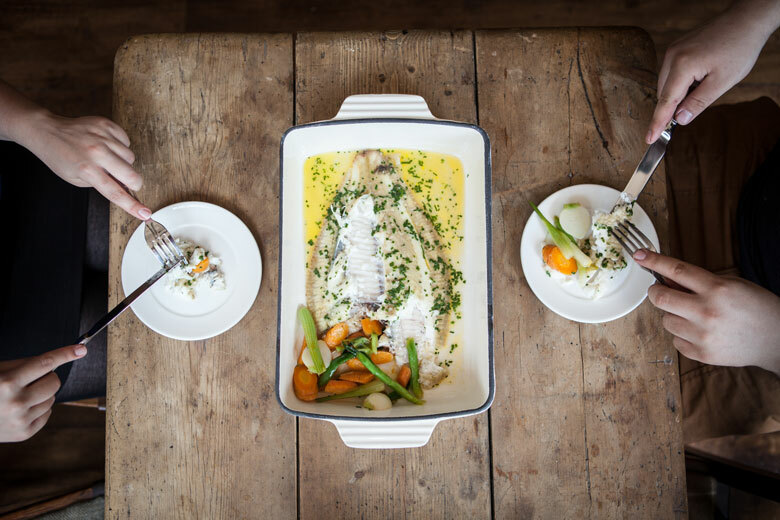 Our fish simply flew off the slab: bass, hake, monk and plaice, and scallops and cooked crabs too. It’s not hard to see why. Top quality, unimpeachable provenance (these are the boats that caught it there), combined with the knowledge that all proceeds go to a good cause is a pretty compelling combination. What a fantastic, memorable, worthwhile day it was. I witnessed a level of enthusiasm, passion and fun that I’ve rarely encountered in any other industry. Why not drop by this year and see for yourself? 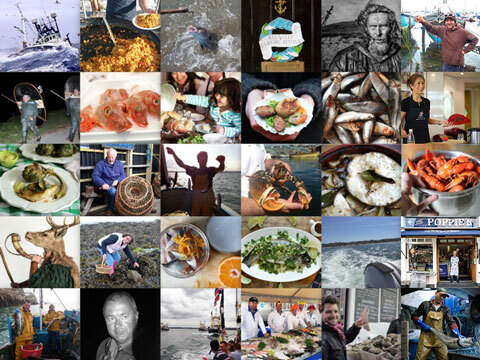 Mike Warner is an ardent seafood fan who blogs at A Passion for Seafood. He is based in Suffolk and finds inspiration from the diversity of life in Britain’s inshore and shallow seas. Mike is a supporter of the under-10m fishing fleet, advocate of sustainably caught fish and shellfish, and fount of maritime knowledge.